June is looking good for the Rooster overall with the month looking to go quite smoothly. 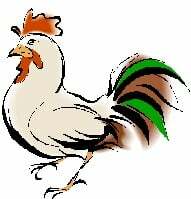 One area that will require the Roosters care is in the career; they will need to make sure to stay on top of deadlines and practise good communication with colleagues in order to avoid problems. Have a fantastic month.